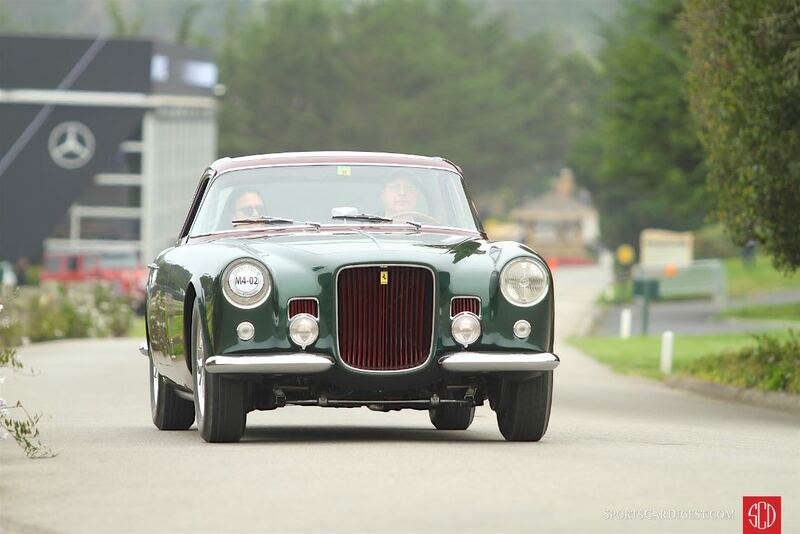 The Pebble Beach Tour d’Elegance 2017 was held Thursday, August 17th, starting and ending at the Pebble Beach Equestrian Center in Pebble Beach, California. 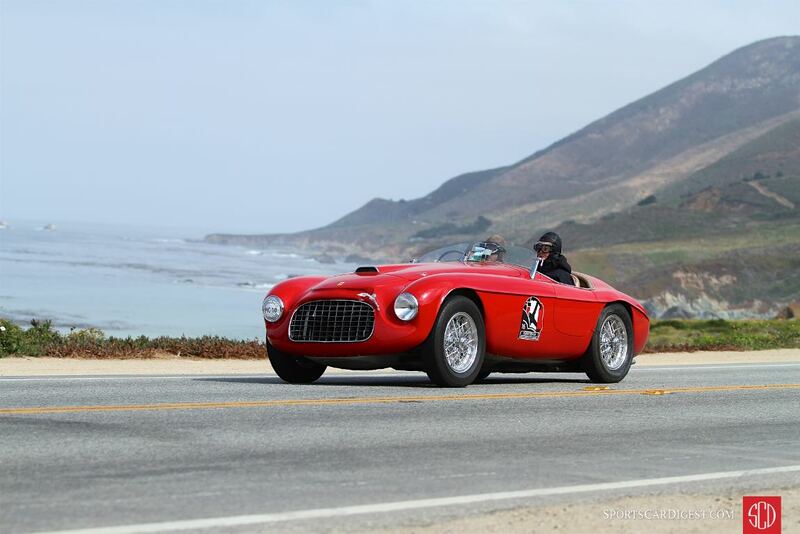 The 20th annual picturesque trip around the Monterey Peninsula was open to vehicles participating in the 2017 Pebble Beach Concours d’Elegance on August 20th. 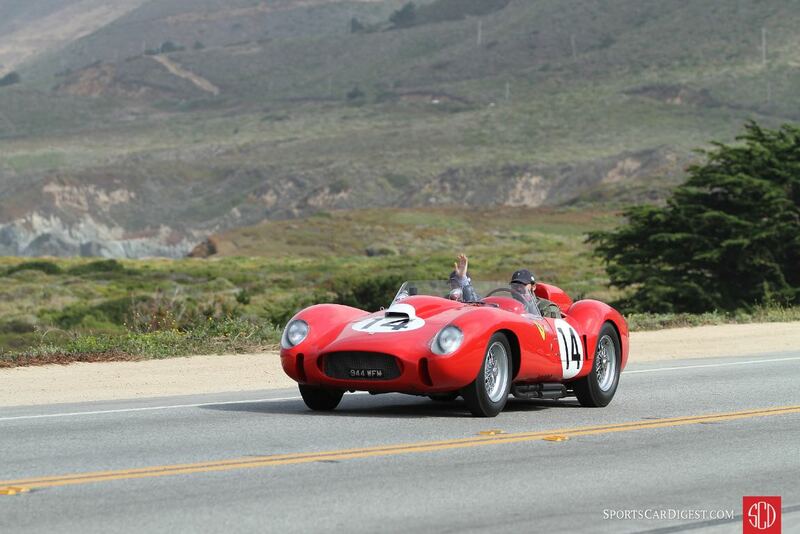 This year saw over 175 historic automobiles take off from Pebble Beach for a tour of scenic driving routes. 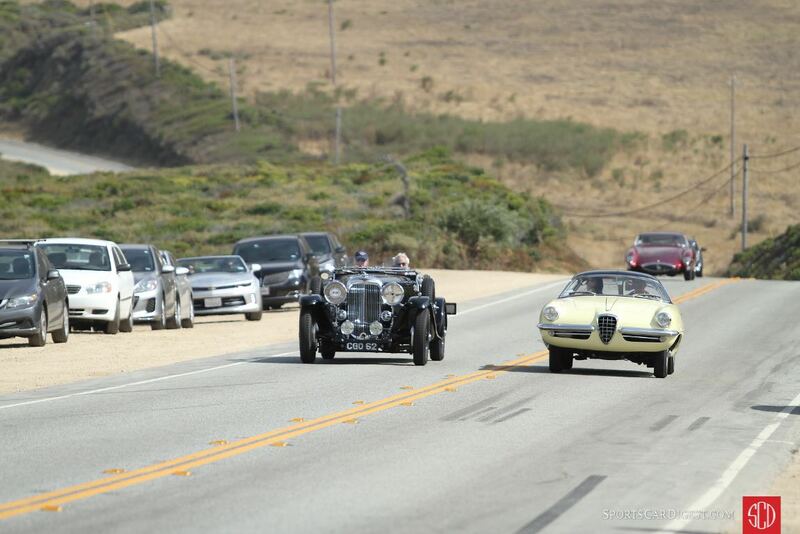 Two separate starts grouped the cars together as they set off across the Portola Road start line, past the Pebble Beach Lodge and on to the famous 17-Mile Drive. After leaving 17-mile Drive, this year’s running of the Tour continued through the region’s valleys, hills, forests and dramatic cliff sides, touching on California Highway 1 in the direction of Big Sur until participants hit their turn-around destination at the Ripplewood Resort. Tour participants enjoyed a gourmet lunch in Carmel-by-the-Sea, plus a champagne celebration at the finish and commemorative gifts. 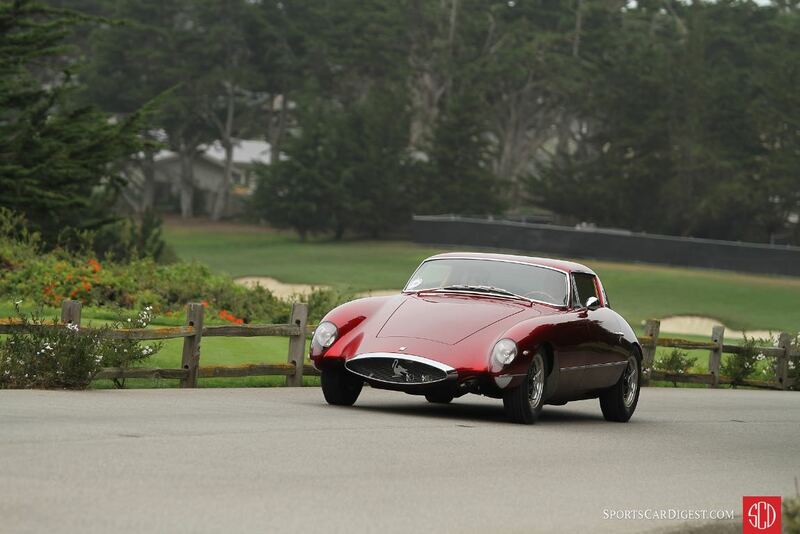 As mentioned, the Pebble Beach Tour d’Elegance presented by Rolex was open to all entrants in the 2017 edition of the Pebble Beach Concours d’Elegance. 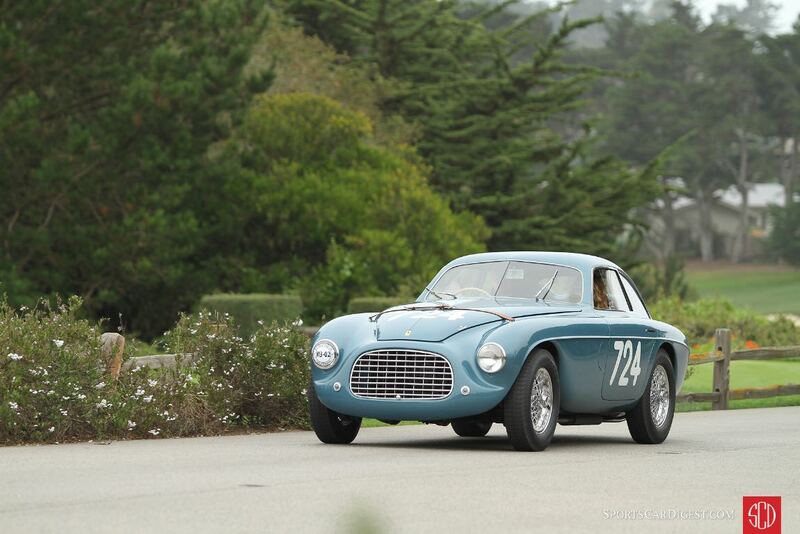 It is important to note that the Tour and the Concours are directly linked. 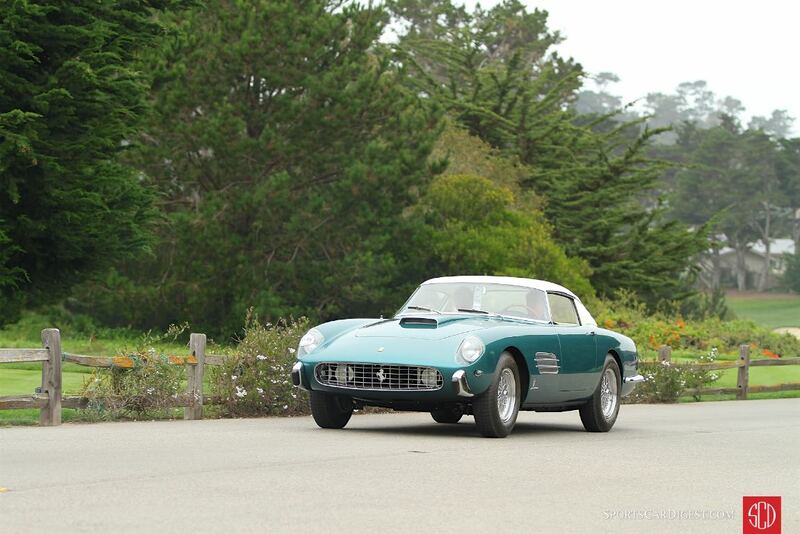 If two vehicles tie in class competition at the Concours, the car that successfully completed the Tour gets the nod. 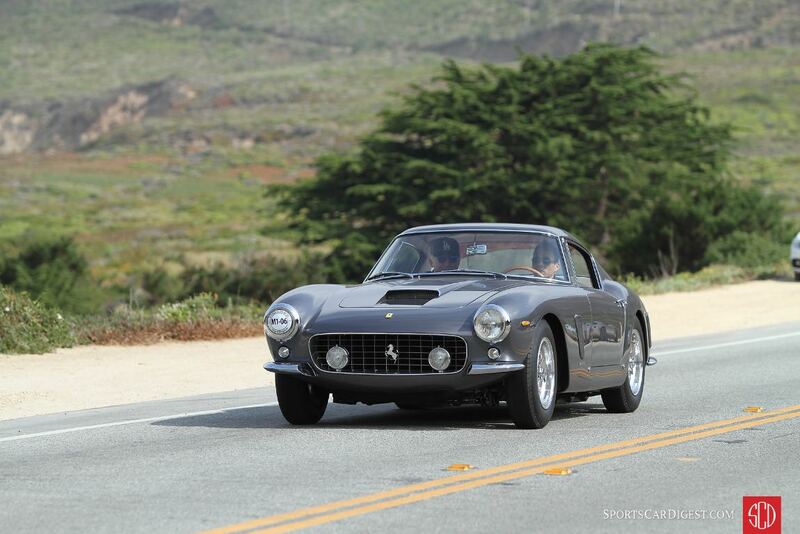 Similar to 2010, 2011, 2012, 2013, 2014, 2015 and 2016, Sports Car Digest also documented the 2017 Pebble Beach Tour d’Elegance, with photographer Richard Michael Owen offering the following stunning pictures that show a selection of cars entered in the Concours. You should have taken more pictures on the dark red oddity from the seventh picture, the Ferrari (?) with the pelican or swan badge. By the way, does anybody have an idea what model is that? We’ve updated the gallery with captions. That car in question is a 1966 Bosley Mark II Interstate Coupe. Are you sure the XK 120 on this 3rd page is the Gable/Barris car ? In other pages you describe it as an undamaged, original paint cars. Excellent pictures Richard, makes me want to leave my usual spot on the Bixby Bridge to find new angles next year! Not only is the photography outstanding, but the stories behind some of the cars add greatly to the gallery – thank you. The restored Clark Gable 1952 Jaguar XK120 Barris roadster was indeed on the Tour, as was our original 1954 Jaguar XK120, two cars with similarly hued but different paint. The Barris car is gold-bronze lacquer, the ’54 is the original Dove Grey paint 63 years later faded to a tannish color.